Harlem Echoes | Lehigh University Class Project. English 493, Fall 2015. Lehigh University Class Project. English 493, Fall 2015. Welcome to Harlem Echoes, a digital humanities project by graduate students in Lehigh University’s English department. This site represents the collaborative work of students in Deep Singh and Ed Whitley’s introductory course to the Digital Humanities (Fall 2015). This site offers users access to McKay’s poems from Harlem Shadows, in association with our big sister site, Harlem Shadows: An Electronic Edition. Our purpose in building Harlem Echoes is to celebrate and share the works of Claude McKay, an unsung poet of the Harlem Renaissance and African diaspora, with a broad audience. We have tagged poems thematically to guide readers to works they may be particularly interested in, including poems that deal with issues of race, gender, and sexuality. Several short essays place McKay’s work in both historical and contemporary contexts, and we also offer interpretations of select poems and educational materials intended for readers interested in doing further research about McKay. Since we believe that literature enables all of us to better navigate society and create a more socially just world, we are committed to making McKay’s work accessible to the public. We hope that Harlem Echoes will bridge diverse groups of people and spark conversations around McKay’s legacy. In building Harlem Echoes, we have put into practice some of the theories and methods of the Digital Humanities that we have been learning about in class. Collaboration and experimentation are characteristic of the Digital Humanities, and these values overlap with our department’s focus on literature and social justice (LSJ). 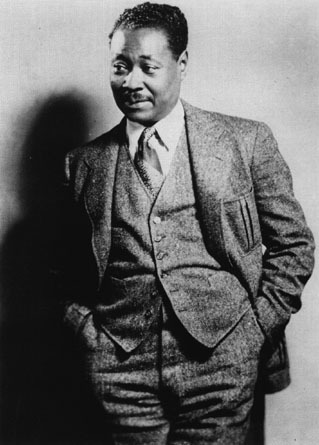 The LSJ focus is part of what leads us to create a project around Claude McKay’s poetry. Approaching the Digital Humanities from a framework of literature and social justice encourages us to consider the contributions of marginalized writers and to ask how the study of literature and literary history bears upon our understanding of contemporary social and political contexts. We have created this site as both a digital humanities experiment and a social justice intervention into the marginalization of writers such as McKay. McKay’s poetry is not only stunningly beautiful, but speaks to continued problems of racism and white supremacy in the United States today. We hope you will enjoy McKay’s poetry and that you will find Harlem Echoes to be informative, provocative, and fun.